January 21st started my foray into fitness and boy did I dive in head first! I started the Insanity program with the glorious Shaun T from Team Beach Body (the same people who do P90X) and it is kicking my @$$!! I am happy to say so far I have made it through 8 grueling days, one of which was my rest day. It’s a difficult program but you can’t argue with the results. Not only am I following the fitness program, but I’m also following the information provided in the Elite Nutrition Guide. I’ve signed up on teambeachbody.com and got my own FREE coach too! This isn’t a plug for the program, I swear, I’m just so excited that I’ve found something that is challenging me and I’m actually enjoying it. So far I’ve only lost a pound, but my goal is mostly to tone and shape. I’m even more pumped now to continue putting together my cosplays for Comic-Con! What are you doing this year to better yourself? 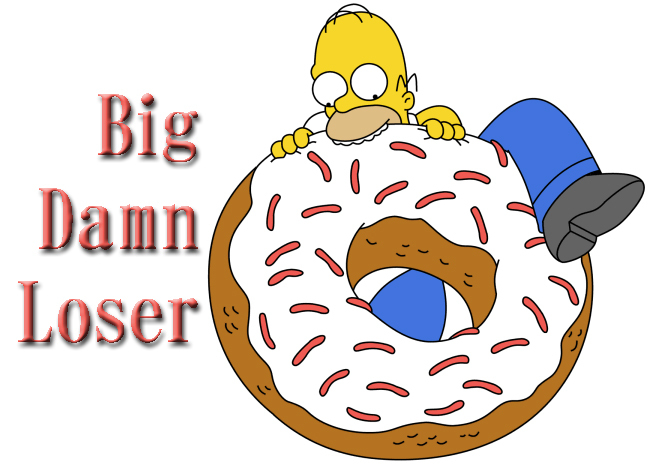 Join Peter and I as we chronicle our journeys as BigDamnLOSERS!